Comprehensive legal and business advice. B. Jon Lilleberg has been an attorney since 1991 and is currently an owner of Lilleberg & Hopewell. Since 1991, his practice has focused on commercial and insurance litigation matters. He represents numerous self-insureds and insurance companies in both first and third party litigation, contract and coverage law, trucking litigation, employer liability and general litigation. He has been involved in many complex matters including catastrophic losses and high profile cases. Mr. Lilleberg has been selected by his peers as a Minnesota “Super Lawyer” in Law and Politics since 2008 and is an AV-Rated Attorney according to Martindale-Hubbell, which is the highest rating available. 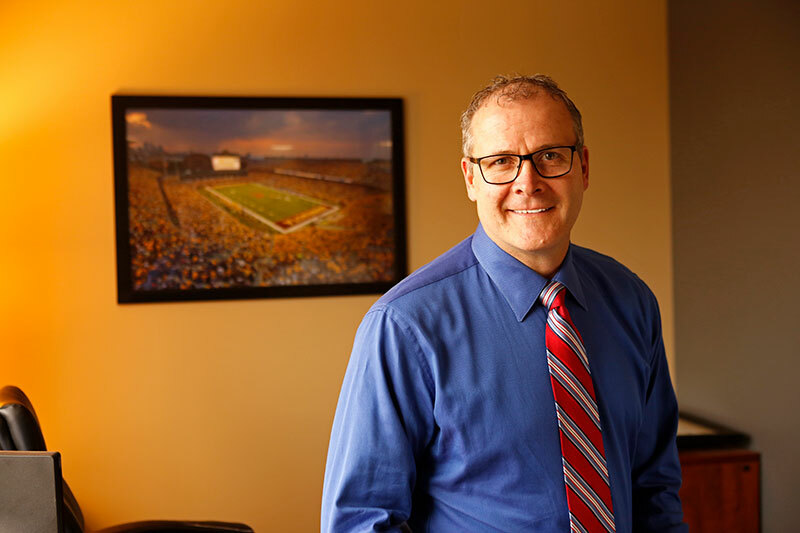 He is a member of the Minnesota Trucking Association Safety Council, the Transportation Lawyers Association and the Minnesota Defense Lawyers Association. Mr. Lilleberg is licensed to practice in Minnesota and Wisconsin, in the 8th Circuit, and in Federal Court for the Western District of Wisconsin. In addition to a comprehensive civil litigation practice, Mr. Lilleberg serves as a mediator and arbitrator in commercial and personal injury matters and contract disputes, and is a Qualified Neutral pursuant to the Minnesota Rules. He frequently presents at seminars for clients and other lawyers on various legal issues. Mr. Lilleberg is a 1986 graduate of the University of Minnesota where he played football under Lou Holtz and was captain in 1985. After college, he worked as a Claims Professional for five years and graduated from William Mitchell College of Law in 1991. His claim and litigation background is helpful in providing clients with early and accurate case evaluations and in the prompt investigation of larger exposure cases particularly involving the trucking industry, products liability, and subrogation cases.